About TechEn, Inc. & NIRSOptix | NIRSOptix by TechEn, Inc.
TechEn is a full-service, professional electronic product design and development center that offers a full array of electronic design solutions and production services. 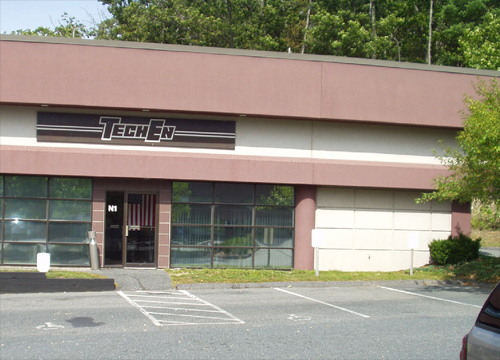 With over 25 years experience in all stages of innovation, TechEn has helped companies introduce new products in medical, industrial, consumer, commercial and military markets. 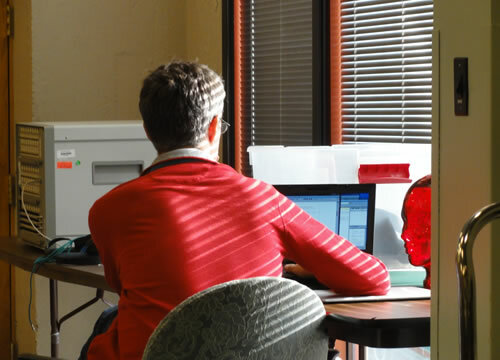 Recent medical programs include Bone Densitometry, ICU Glucose Monitoring, Consumer-Personal Care, GPS SignalSimulator and Wireless Biotech Sensing - as well as noninvasive Optical Brain Imaging. 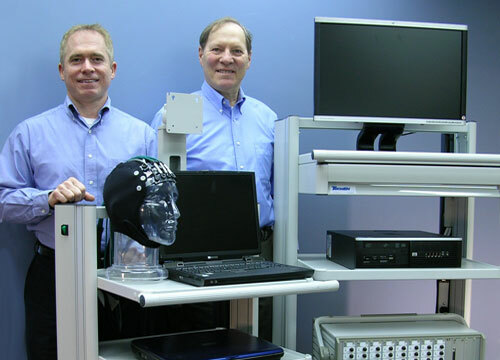 TechEn worked with Massachusetts General Hospital and Harvard Medical School in the electronic component design and development of a novel, noninvasive optical brain imaging system for the MGH-Martinos Center for Biomedical Imaging. 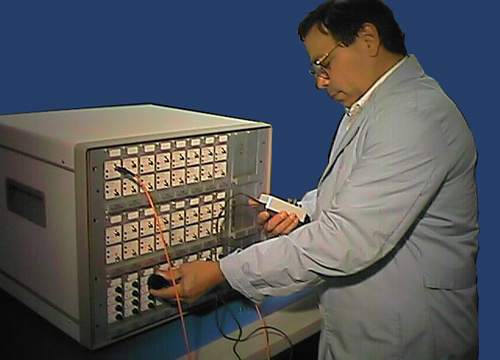 The program includes high-speed data acquisition of optical signals at up to 100 Hz. The technology developed for this sytem forms the basis of the company's NIRS and CW products. TechEn was established in 1982 to provide consumer and industrial product custom design and production services. In our 25+ years of successful design engineering we have worked with more than 150 clients throughout North America, Europe and the Pacific Rim. We have completed over 300 projects spanning 10 major industries. We have successfully concluded a number of projects for the medical industry. For example, we provided design and development engineering for the Accuprobe system, which utilizes super-cooled liquid nitrogen circulating through disposable probes to freeze and destroy cancerous tissue. This technology is FDA approved for use in prostrate cancer procedures, and is currently being used in experimental procedures for brain and breast tumors. In addition, we helped develop the ultrasound surgery technique used for Laparoscopic Surgical Procedures. This device has been purchased by Johnson and Johnson and is marketed as Ultra-scission. We are also very proud of our near-infrared spectroscopy (NIRS) systems, which we have developed in conjunction with the Optics Division at the MGH-Martinos Center for Biomedical Imaging. Our NIRS systems employ the most advanced technologies available and have been tested in rigorous validation and optimization studies conducted at the Massachusetts General Hospital. Development of new electronic products has changed rapidly in the years we have been in business. Some describe the era as the "digital revolution" and, now, the age of smart sensor systems. As a team established on the forefront of this dynamic growth and rapidly evolving technology, we can guide your project to great success. TechEn's Team, composed of more than a dozen senior electrical engineers, mechanical engineers, product design specialists and NASA-qualified technicians, holds a wealth of engineering experience encompassing a wide spectrum of medical, commercial, military, industrial and consumer products. Our staff has the ability to contribute ideas and suggestions that can go well beyond the scope of the project at hand. This open communication allows us to better anticipate potential glitches and act upon them, helping to keep your project on track. TechEn has received grants from DARPA and the National Institutes of Health (NIH) - including NINDS, NIMH and NCI grants - for the electronic component design work performed in conjunction with MGH to expand the imaging capabilities in up to 32 laser and 32 detector channels.